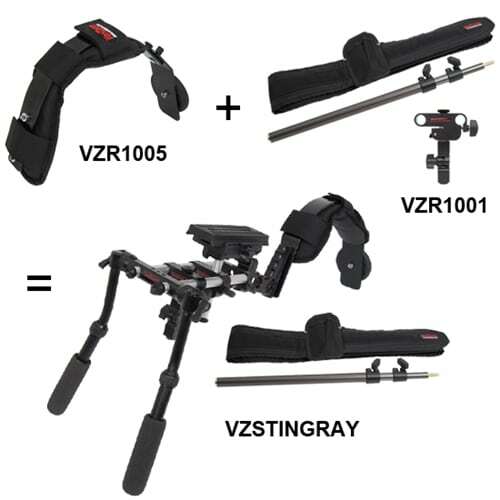 Stinger – The StingRay minus 2 Riglits- take away the shoulder arch and shock-absorbing body mount. This unit keeps the dual adjustable handles that detach quickly for the basic pistol grip mode shown in the Stingshot configuration below. The shock-absorbing body mount consists of a spring-loaded suspension pod and a belt with integrated holster. 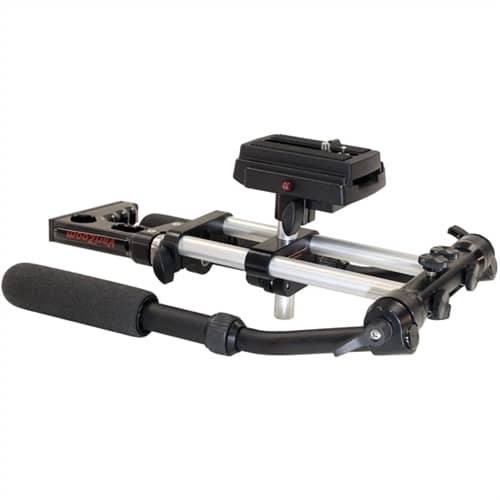 The support is constructed from 2 independently adjustable spring loaded telescopic sections designed to negate camera shakes and bounces. The belt fits nearly any waist size and holds the suspension pod securely with a reinforced holster and D-ring. 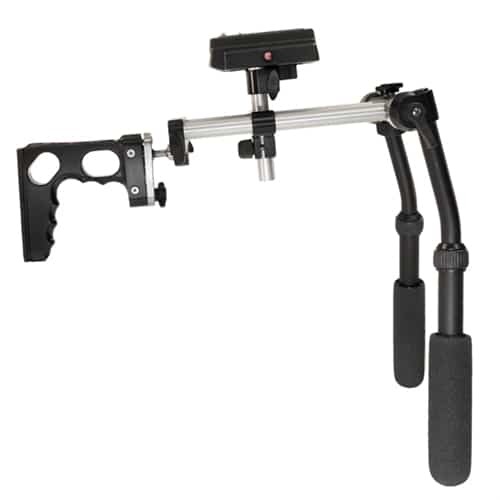 Adjust the horizontal position of your camera to comfortably view the LCD screen. 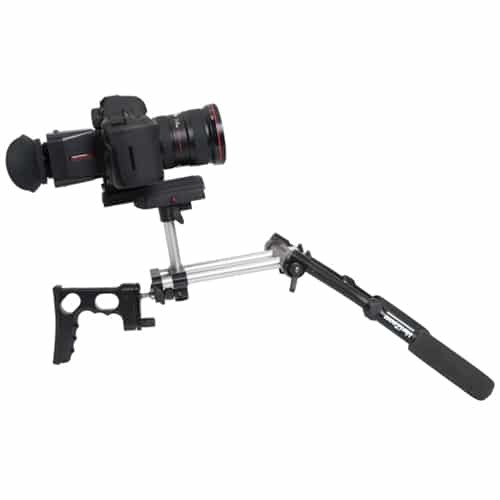 The suspension pod also allows smooth control over the height of your shot, so you can shoot at any level with no strain. 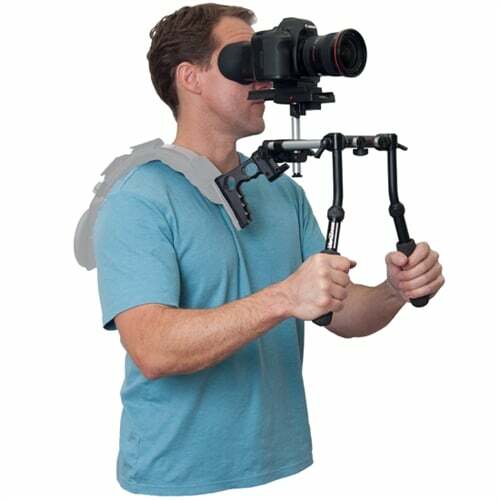 Easily shoot up or down at the eye level of your subject without uncomfortable bending or stretching. Even shoot over a crowd of people by simply extending and locking the suspension pod. 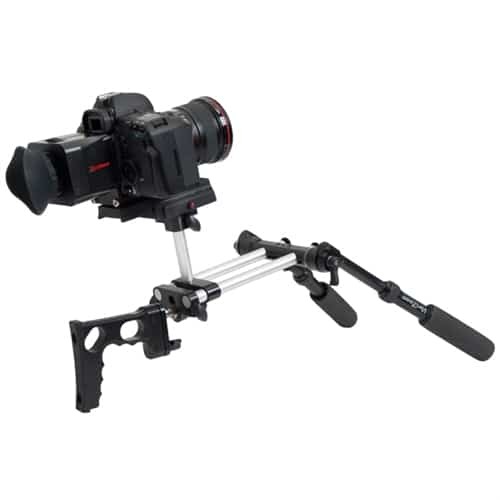 DSLRs and Camcorders up to 10 lbs.